Sparta. 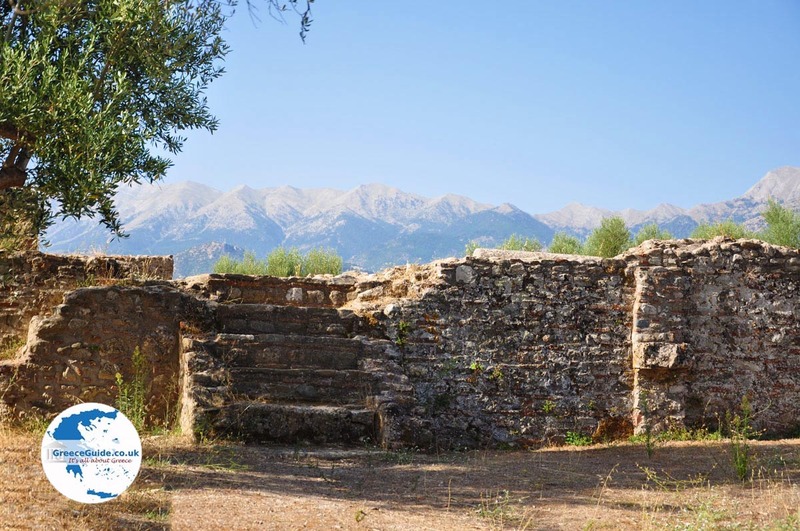 The city of Sparta was located in the north of the central Laconian plain in the Peloponnese, on the right bank of the river Eurotas. 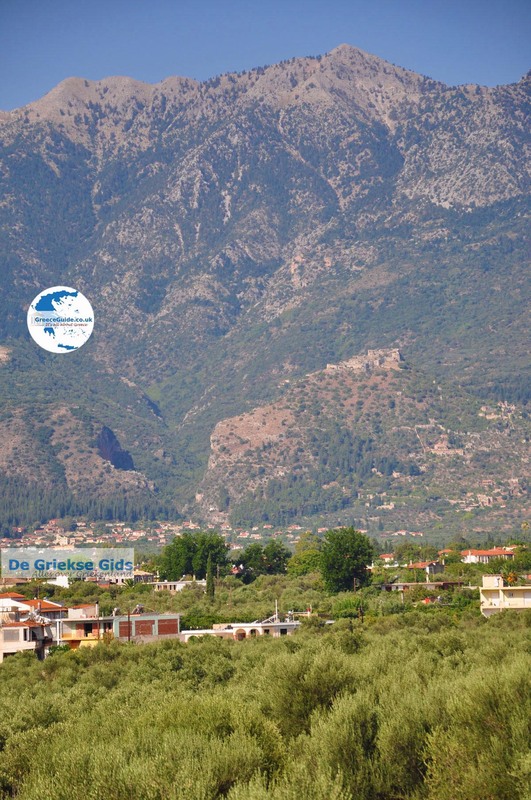 Lakedaemon, as Sparta was called in ancient times, was founded in the 9th century BC by the Dorian. The descendants of the Dorian were called Spartans. Spartan society was divided into three classes: the Spartans this was the ruling class (descendants of Dorian). 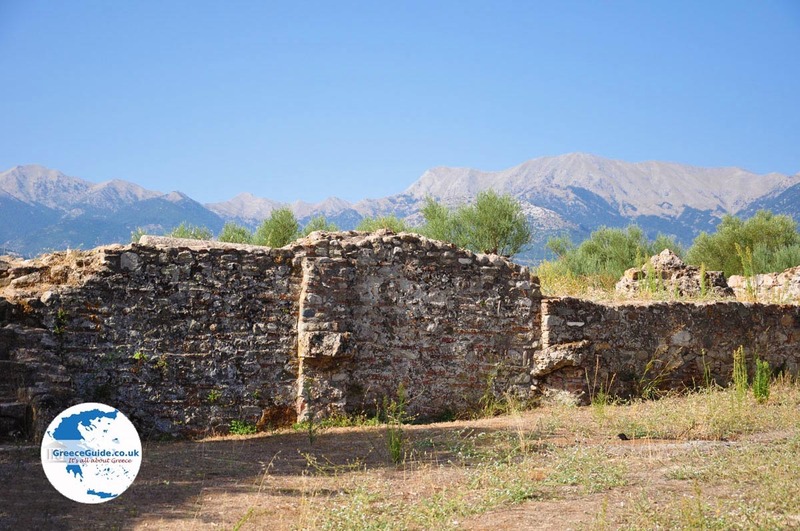 The middle class was formed by the Perioeci, they were free people who dealt with trade and handicrafts. The lowest class was formed by the Helots; the slaves of the Spartans who did slave labour. They had no civil rights. There reigned always two kings who were in charge of the army. Boys were from seven years removed from their homes to get a very strict military upbringing. Through the centuries, democratic Athens was the great enemy of Sparta. 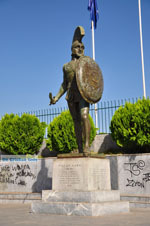 Modern Sparta existed since 1834. 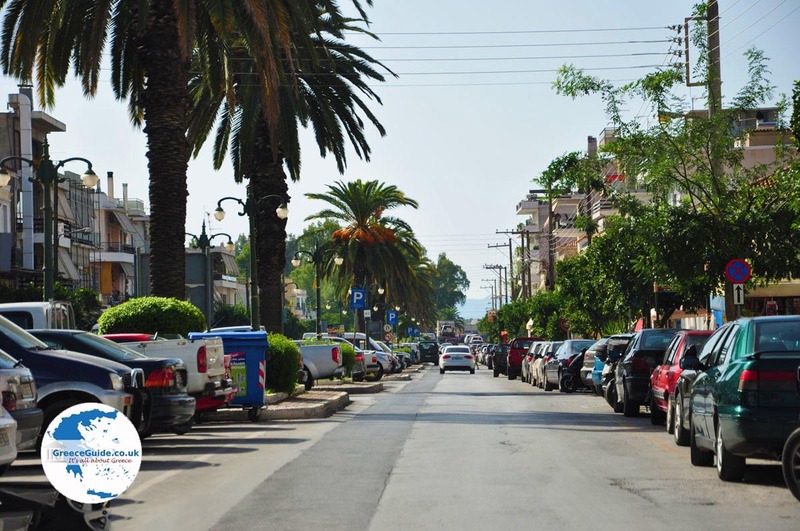 It was built by Bavarian architects and wide streets were built planted with orange trees and rose bushes. 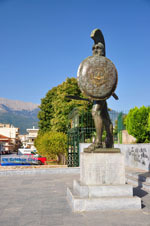 Sparta, in southern Greece, was founded in the 10th century BC. 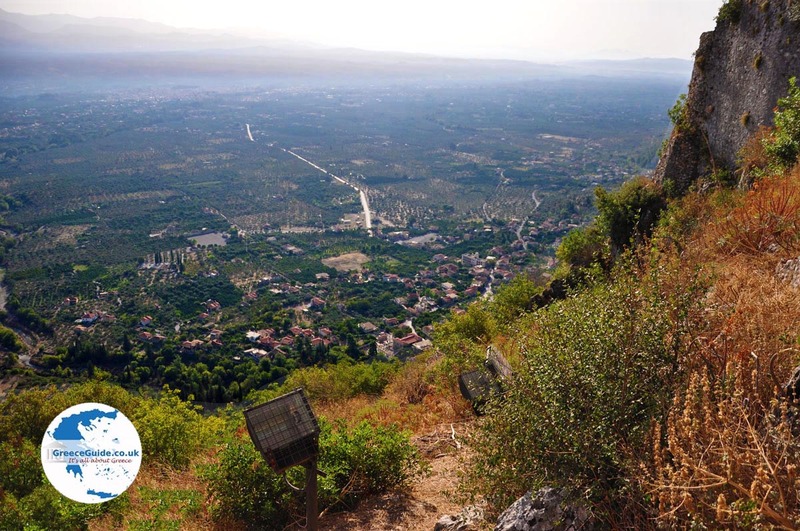 Two centuries later, Sparta defeated it’s neighbouring state Messinia and this was very good farmland. It was a state that produced wonderful craftsmanship, and also the music and poetry flourished. 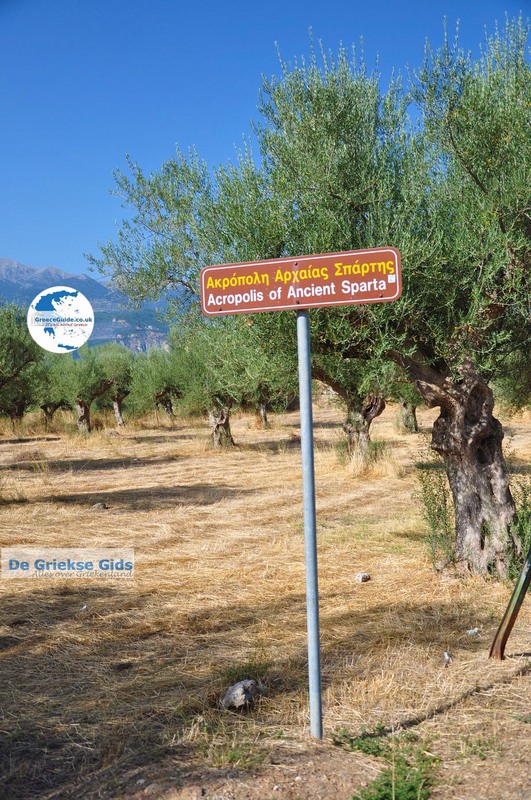 The Messinians began a revolt and therefore Sparta began again with warfare. It became a superpower in Greece and the main rival of Athens. All the men of Spartan origin had to serve in the army, their entire life was dedicated to the martial arts. Boys of seven years were taken away from their family and lived in army barracks. 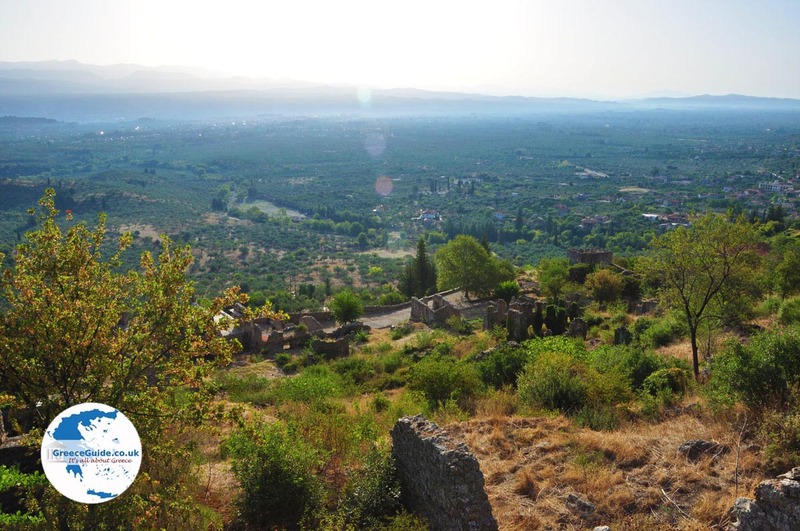 Athens surrendered to Sparta in approximately 404 BC. The most important democracy became powerless enabling the Spartans to govern. In Athens democratic protected states this form of government was abolished and thousands of democrats were put to death. 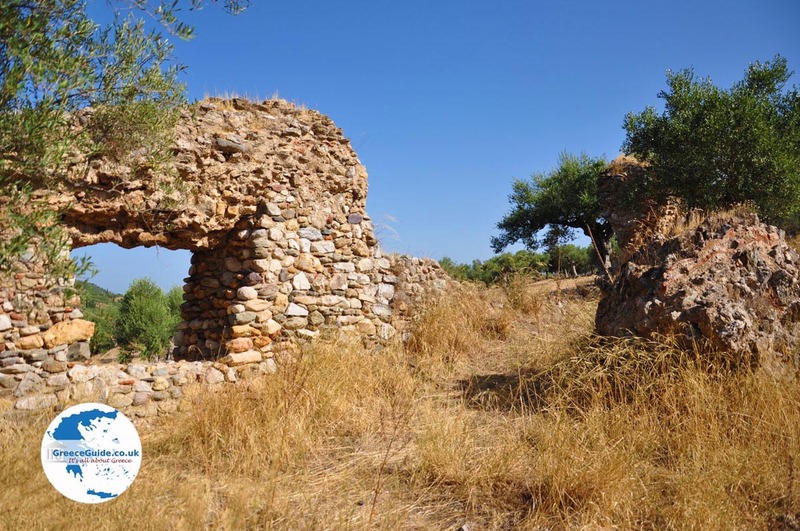 The Spartans forced the Athenians to pull down their walls that had protected the city for fifty years. The Spartans took over the bulk of the Athenian empire after the fall of Athens, but their style of government provided more enemies than friends. They treated the Greeks without respect. 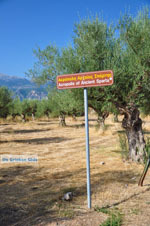 Sparta attacked even in peacetime Thebes and Piraeus. Thebes’ much larger army defeated the Spartan army finally at Leuktra in the year 371 BC. Many Spartans became rich by the wealth of the Athenian empire. A large part of their money was spent on breeding and training racehorses. Winning chariot racing was a proof of the masculinity of the owner. 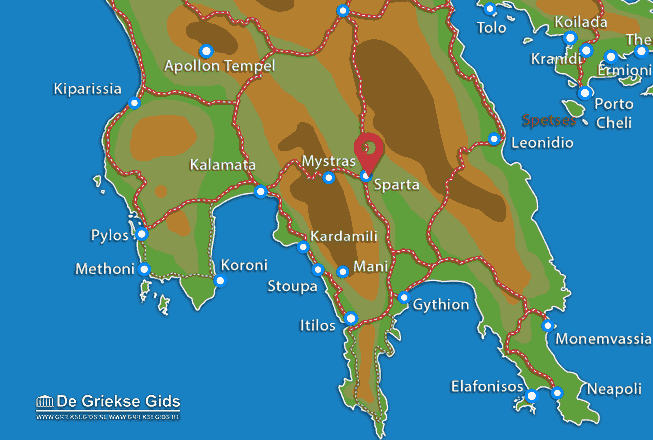 Lakonia: Where on the map is Sparta located?